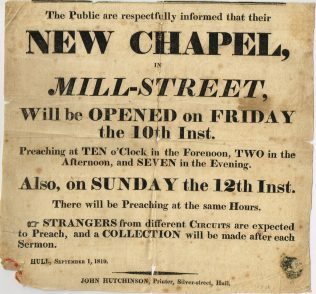 The first Primitive Methodist Chapel in Hull was opened in Mill Street on 10 September 1819, only nine months after William Clowes arrived as a missionary, and preached in an old factory in North Street. Built at a cost of £1,700, it had seating for 790 people. The chapel, later known as West Street, closed in 1910, and the building was used as a dancehall until destroyed by bombing in 1941. 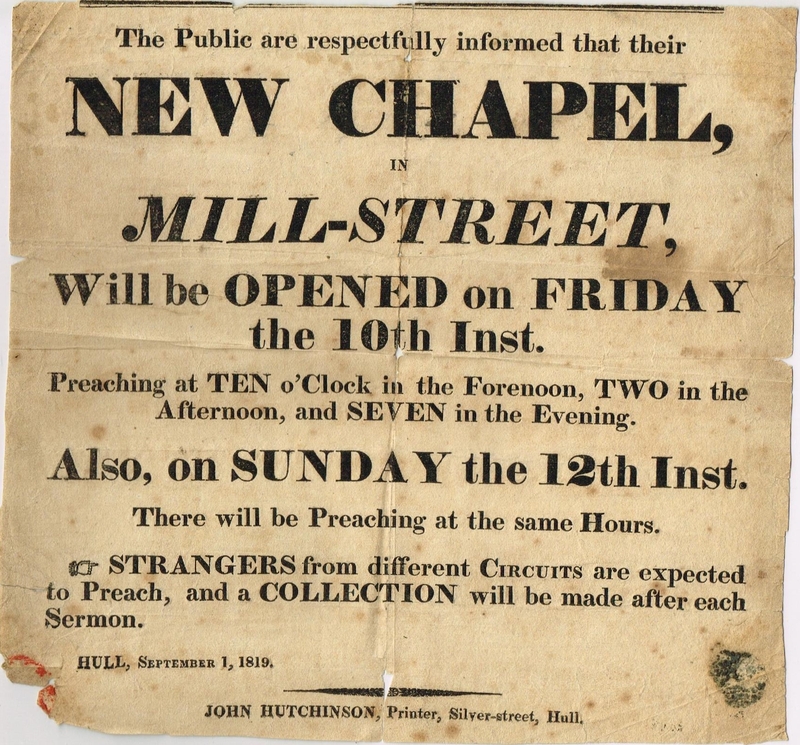 The Primitive Methodist magazine for July 1853 pp.432-433 has an account by A Worsnop of the re-opening of Hull West Street Primitive Methodist chapel after extensive renovations. In the period since its building several additional schoolrooms and vestries had been added and in February 1853 it was closed altogether for general repairing and repainting. It re-opened on 17th and 24th April 1853 with sermons by E Slack, J Wood, T Bennett and A Worsnip. There was also a tea meeting, complete with a performance by singers. Howgill (Barden) PM Chapel North Yorkshire.